My new favorite hobby: embarrassing my teenager. 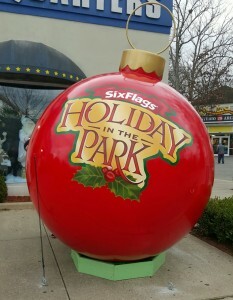 We’re fans of the Six Flags theme parks, mainly because their “Go Big” ad campaign clearly shows a shared appreciation for BIG entertainment. Yet, I was skeptical when I heard this spring that Great Adventure in Jackson, NJ was going to be the world’s largest theme park. However, based on the recent addition of the Safari Off Road Adventure, the acreage is now up to 510, larger than any other theme park. Also, this park is home to Kingda Ka, the world’s tallest roller coaster. Matt wasn’t told until we got there that his job would be to ride Kingda Ka and report on the experience. We really enjoyed the Safari Off Road Adventure, a totally reworked version of the old Wild Safari drive-through attraction which was there for years. Now, you and about 25 others board an all-terrain vehicle, which mainly travels along a paved road, but also does some off-roading. The on-board video tells the story of the fictional Wilds family, who run the outpost and take care of the animals living there. Because it’s a new attraction, I probably don’t need to tell you that the lines are going to be long. You want to get there when it opens to minimize your wait. 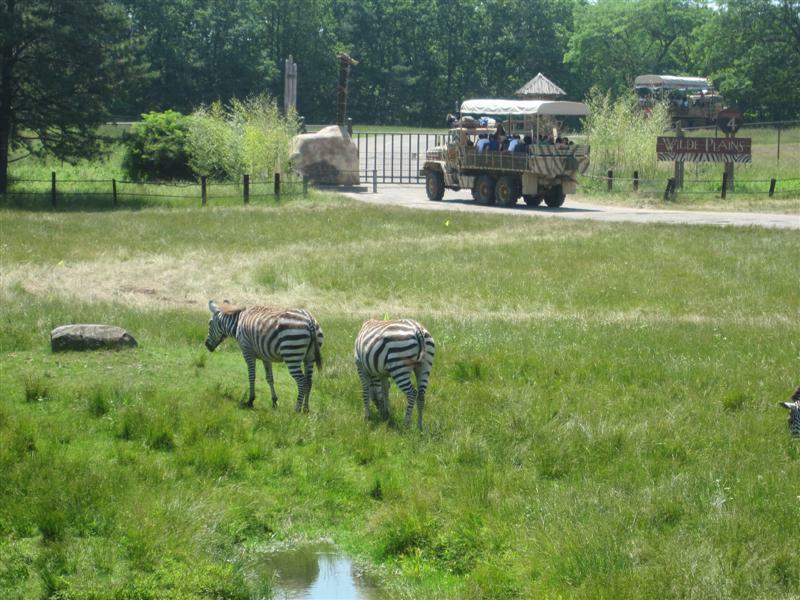 On the day we went, the Safari opened at 10:30 am for season pass holders, and 11:00 am for everyone else. We didn’t know that in advance, so we had to wait a half hour anyway. Also, the animals are generally most active in the morning. 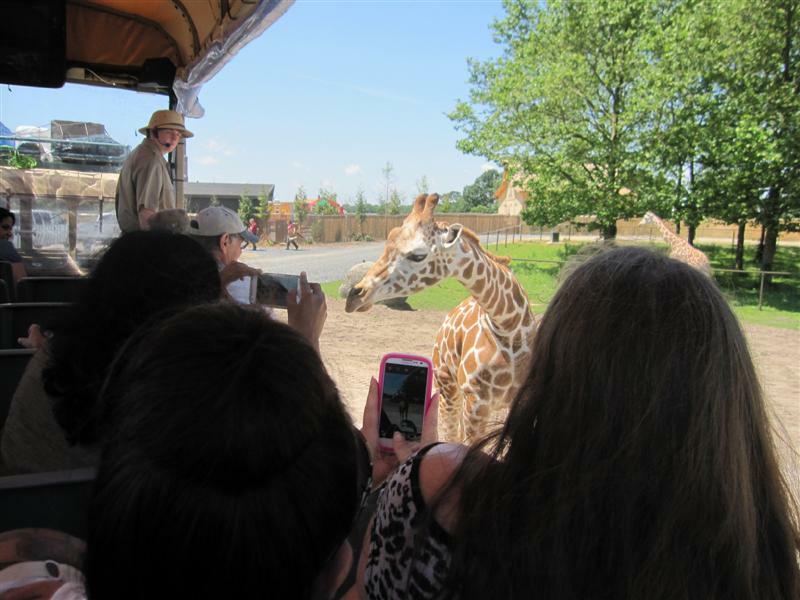 The Safari park is home to 1,200 animals from six continents, and they’re separated into different themed areas, like Didgeridoo Pass, Afrikka, and the Wilde Plains. The guides provided a lot of interesting tidbits in their narration. I learned, for example, that ostriches have two sets of eyelids, and elephants weigh 100 lbs. when they’re born. While you’re kept at a distance from the lions, you do get really close to other animals. At one point, a giraffe came over to say hello. The Girl didn’t know whether to giggle or shriek, so she did a little of both. The Boy perfected his ostrich face by pursing his lips and looking bothered. Collectively, everyone on board went “Awww!” when we passed a mama black bear playing with her cubs. Everyone: put down your phones and just LOOK at the giraffe! Who’s heading to the Jersey Shore this summer?! We should all do our part to support tourism in this area during its first season following Hurricane Sandy. (Jersey Strong!) We were there just a few months ago, while the re-building was still taking place. 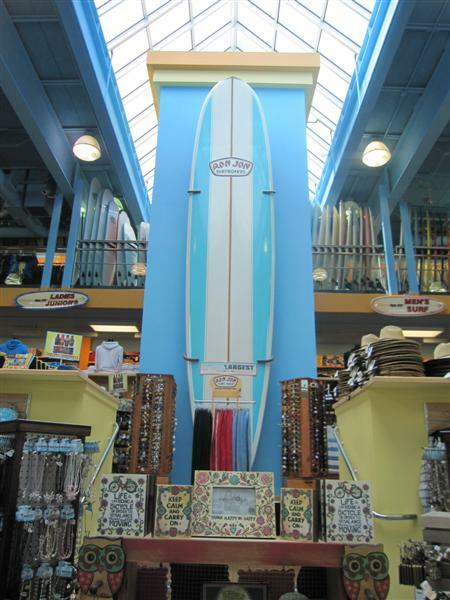 We discovered several Jersey Shore landmarks that weekend, including Lucy the Elephant in Margate, and the original Ron Jon Surf Shop – home to the world’s largest surfboard—in the town of Ship Bottom on Long Beach Island. 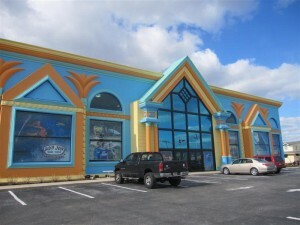 This is the original location of the Ron Jon surf shop, where the company’s first store opened in 1961. Today’s version is more than 8,000 square feet, with four levels of retail. 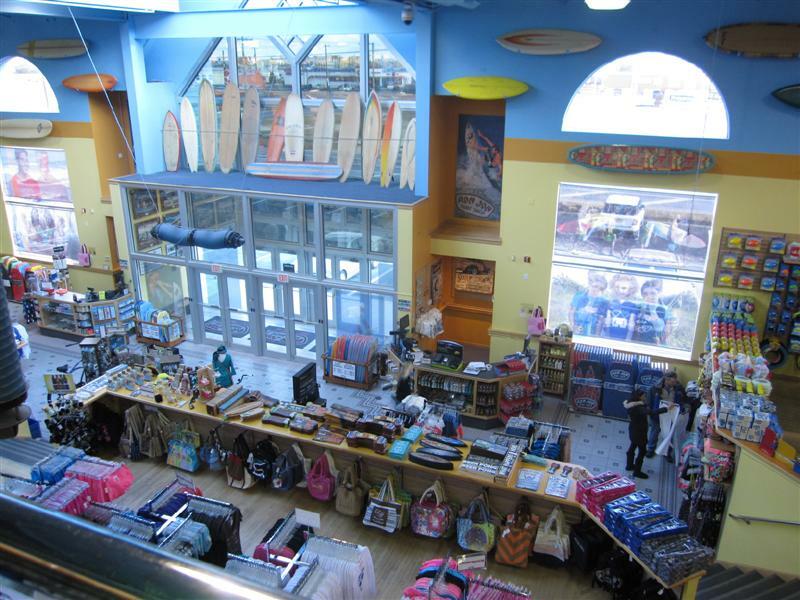 You’ll find everything you need for a beach vacation, or a beach bum lifestyle, including swimsuits and apparel, footwear, snorkel gear, beach bags and towels, sunglasses, sunscreen, sand toys, souvenirs, and an entire skateboard section. The Boy found a pair of “cool” flips flops, and The Girl pounced on a pink sundress with bohemian flair. In the middle of it all stands the world’s largest surf board – 24.8-feet long, and 55-inches wide. I suffer an incurable case of volunteerism. It’s a genetic link to my mom, whose hand is always raised to help. 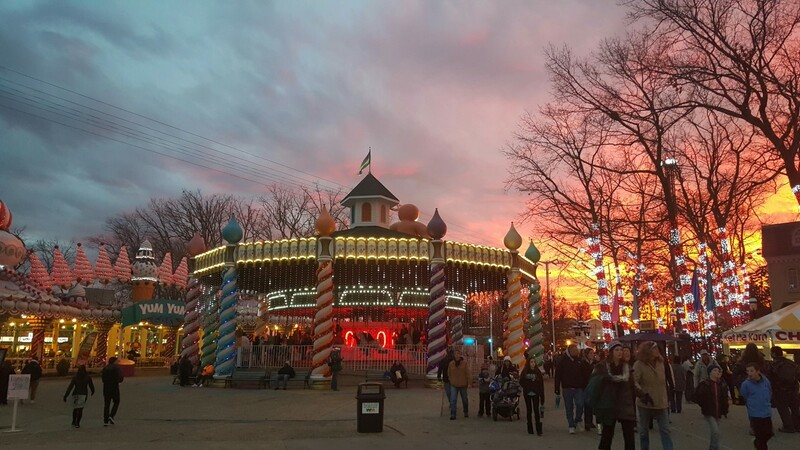 So, while visiting Lucy the Elephant in Margate, New Jersey was a treat because she’s such an iconic American roadside attraction, it also offered reaffirming satisfaction to see what sheer dedication can achieve. Lucy, the world’s largest elephant, only stands today because volunteers took action. The United States may not have a long history, comparatively speaking, but it’s still worth preserving. 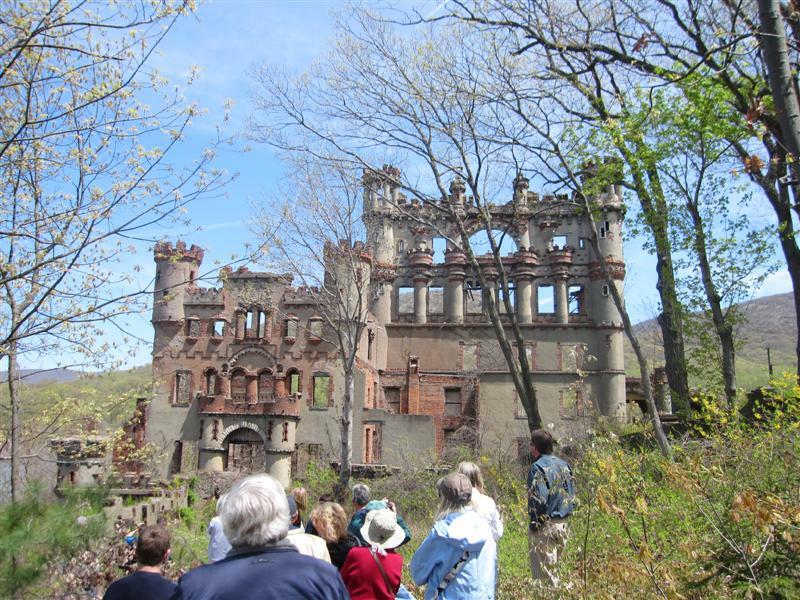 In large part, the task of historic preservation falls on people who donate their time to the cause. 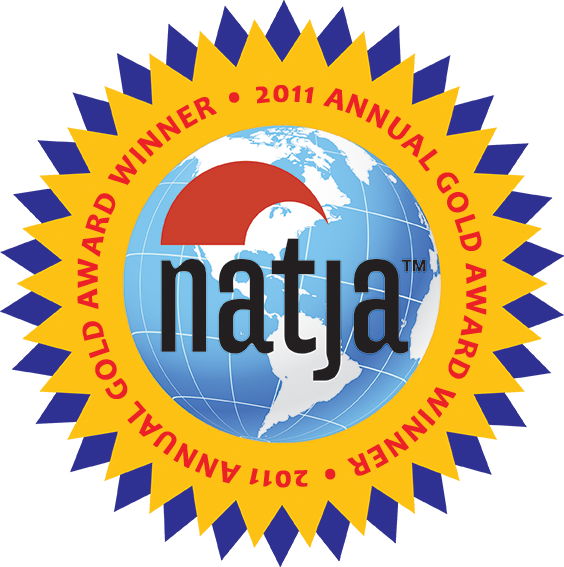 Think about the small-town historical societies and the weather-worn historic sites in your area. And then there are those retro roadside attractions, chock full of quirky charm, of which I’m completely enamored. Aquarama, Cypress Gardens, Cyclorama…we have lost so many. To me, they represent travel in a simpler time. Speed wasn’t a measure of entertainment, and authenticity wasn’t obscured by technology. The claim or status of a “world’s largest” meant a little attention; the potential to lure customers. That’s how Lucy was born. 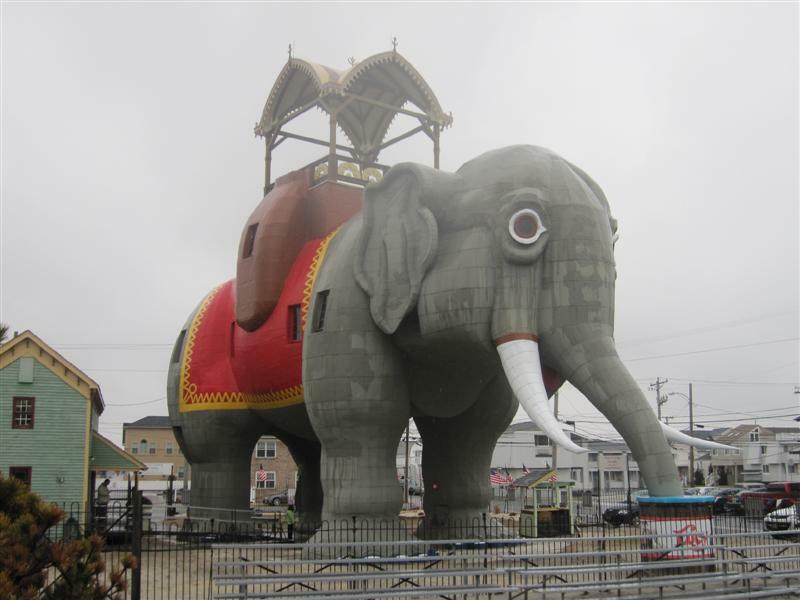 James V. Lafferty, Jr., a real estate developer, commissioned an architect to build him an elephant-shaped building in 1881 to draw attention to the land he hoped to sell in South Atlantic City, now Margate. Poor Matt. He’s been doing a lot of the “heavy lifting” for the sake of the blog lately, like when we sent him out on a tightrope 70 feet in the air in November. 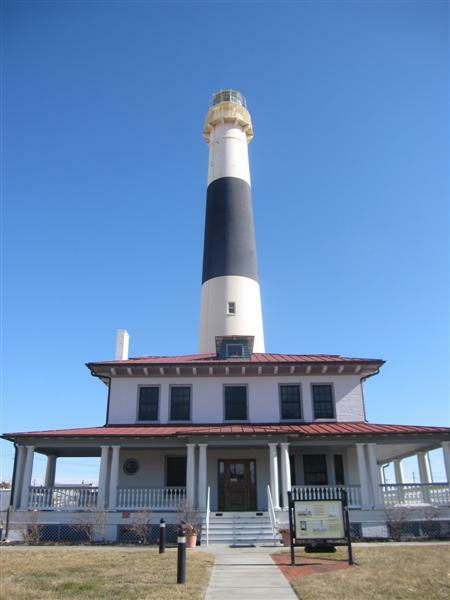 Last month, we sent him up a circular staircase of 228 steps, to the top of Absecon Lighthouse, the third tallest lighthouse in America. 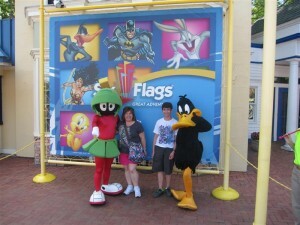 We spent a cold President’s Day weekend in Atlantic City, New Jersey, WITH the kids. Despite those obstacles, we still had a great time, and found plenty to do. 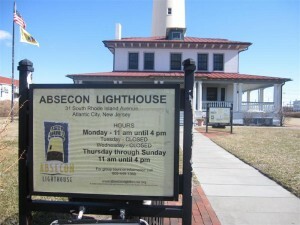 One of our stops was the Absecon Lighthouse, the tallest in New Jersey and the third tallest in the United States (topped only by the Cape Hatteras Lighhouse in North Carolina, and the Ponce De Leon Inlet Lighthouse in Florida). The lighthouse has been decommissioned since 1933, but it’s still lit every night, and open for tours daily. All I knew as we approached Trenton, NJ was that we should be looking for the world’s largest tooth, based on an address listed on RoadsideAmerica.com. As we approached, I saw signs for “Grounds for Sculpture,” and excitedly noticed several other over-sized artworks. 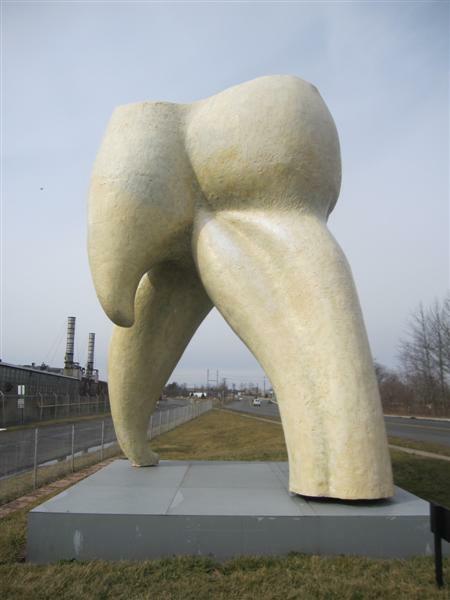 This 15-foot tall tooth isn’t on the “Grounds for Sculpture” proper, but it’s nearby. It actually sits unceremoniously on the side of the road, in front on the Congoleum warehouse. There was some trepidation as we parked, but we figured we would be okay on a weekend! That’s when The Boy struck with this zinger, delivered with a smirk: “We should go see if there’s any plaque with the artist’s name.” BAM!! Bless him; he inherited his mother’s wit. Of course, there was a plaque. The piece is officially called “Tooth,” by Seward Johnson. 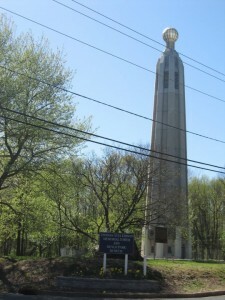 It was made of aluminum in 1982, and is on loan from The Sculpture Foundation, Inc.